Just about three weeks ago I learned that I would not be able to attend this event. I kept quiet about this, but inside I felt devastated. I had personally stood on the side walks around that abortion mill a great deal and had left much of my heart at that place. I had talked with many people, preached the gospel numerous times, read the Word of God aloud, I had been threatened, cursed, and much more over the past year. As hard as it is to minister at this place of death, the bond that you have with the brothers and sisters that you minister with is indescribable. So with these brothers and sisters being there and many more arriving to let the city of Shreveport, LA know that at 210 Kings Highway Babies Are murdered here. That is where I wanted to be, and where I thought I should be, but could not be. No, instead of being out saving the world my time was to be spent on more trivial matters; honoring my mother and father. As I said; while out ministering at this abortion mill I had been called numerous things, I have been told by some who profess the name of Christ that I was unloving, as a stood on the sidewalk of an abortion mill 100 miles from my home, sometimes by myself, on my day off from work, spending my own money to get there and get home; that I should have the gall to plead with mothers, fathers, and workers of that place not to kill. These trials would not prepare me for this past week, because while all that goes on at this mill and others deeply saddens me, I can leave the mill and go home; also there are other brothers and sisters involved in this type of ministry that we can encourage and they can encourage us, not so over the things that have occurred in this life over the past week. In this blog I will deeply expose myself and my family, but I need to tell someone because this burden is weighing so heavily upon me and my wife. I did not grow up in a Christian home. My mother decided to take us to a Methodist Church when I was in Junior High school but that was the extent of my Christian upbringing. In 2003 when the Lord drew me to Himself and I began to follow Him and read the word of God, much changed in my life, the Lord was preparing me for the things that He has me doing today. My parents had some problems in their marriage about 15 years ago and as part of the reconciliation process with one another, they began attending church together regularly. My hope is that they have repented of their sins and put their trust in Christ alone, but I do not know that for certain, so I speak to them about Him often, trying to always keep Christ in the conversation. A few years ago after my father’s retirement from the Dallas Fire Department he became ill, his illness has now progressed to a very advanced Parkinsonism. He is 90% bed ridden, he is able to get out of bed for very brief periods of time, then he has to return to bed quickly or he passes out. He has lost control of his bowels. He does not know for certain where or when he is most of the time. Everything in his conversation is mixed with both reality and fantasy so his logic is faulty and his reasoning is all but gone. Caring for him is extremely difficult, while being confused; he is probably the most prideful human being I have ever met. As a child growing up I always saw my father as being an extraordinary human being. He was both physically strong and strong in attitude. As a young man growing up, often times some neighborhood boy would bring up into conversation whose father could beat up whose. 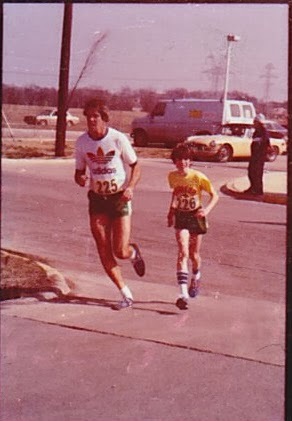 As foolish as these conversations where from boys, picture this; I’m a young boy growing up in the 1970’s in a suburban neighborhood, all these other boys fathers were pot bellied and stood 1 ½ feet below my dad. Yes my dad was a real giant of a man, 6 feet 11 inches, 270 LBS with no fat. He was in the, late 1960’s – early 1970’s a professional athlete. 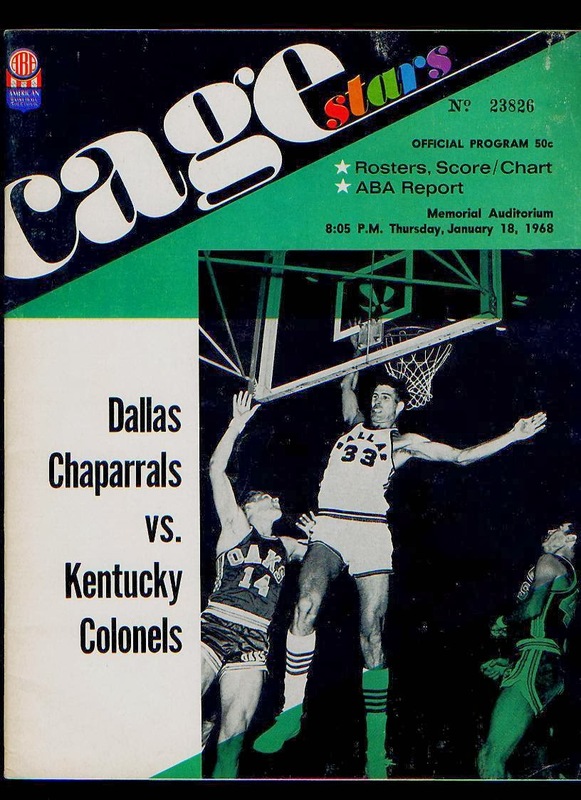 He was a basketball player for the Dallas Chaparrals (now called the San Antonio Spurs). After his career as a Pro Basketball player he would then become a Dallas Fireman, he just retired 8 years ago. 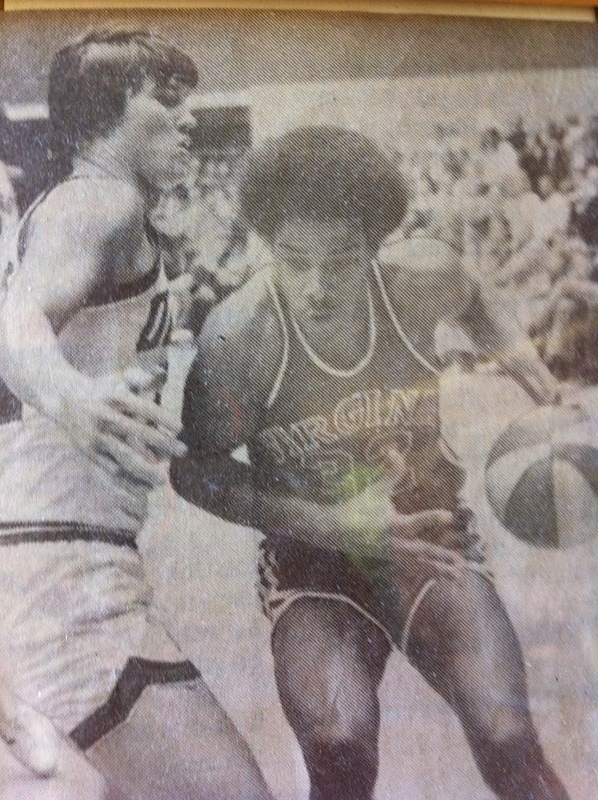 Here are some pics of my father that you might enjoy: The first one is dad on the cover of a game program, the second is a news paper pic of dad guarding Julius Erving (Dr. J), the third is my dad running with me in the late 1970's. As stated previously he is a very prideful and private man, he refuses to have anyone care for him other than my mother who herself is elderly. They had been living on a place, literally out in the woods on several acres away from anyone. My mother decided that they would move to a home within the same town as my wife and I so that when she needed help, we could come over and help. This move was extremely difficult and now a week later is still not complete. My mother whom I love very much has no organization skills at all. My wife and I had instructed her on several occasions to hire a moving company that would both pack up everything they had and move it; she had told us on several occasions as we brought this up that this is what she had done. We were under the impression that on the day of the move that we were going to move her potted plants and help her unpack. I had rearranged my work schedule so that I could be off for the move, working 72 hours, 6 x 12 hour shifts so that I could be off for the move, my brother Jeff came down for the move. The day of the move, this would be comical if it were not true. A small moving company showed up, and moved the large furniture items leaving everything else there. At the home was left virtually all their belongings, myself and my father in a wheelchair. My mother had gone to the new home. My brother would help with the move for 1 ½ days, my wife and I spent four straight days from morning until night packing up their belongings and carrying them a car load at a time to the new home. Under extreme strain I felt angry inside, my wife was angry and complaining, and I was angry that she had been put in that situation, that so much had been thrown into her lap unexpectedly. We had been told on several occasions that a complete move had been purchased so we felt let down. So on Friday, after several trips, I said something to my mother about it, how disappointed I was, how I was then in the processes of doing exactly what I had on numerous occasions been told that I would not be doing. I then would repent, spending time in prayer and decided that I would continue on with the move without complaint. My brother would leave and return to his home an hour later. This left me and my wife with the sole burden of this move. We worked until well after dark, got something to eat and went to bed. We would go to the home in separate cars to carry things the next morning. She was at the old home packing, while I would load the truck and carry to the new home. I arrived with my first load of the day at the new home, my mother complaining about how the move was going. I had decided to stay quiet and continue forward expressing my love for them no matter what was said, or how I felt about the situation. It was then when I arrived back at the old home that I received, given the situation; the most hurtful, mean, and wicked message I had ever received from anyone. It was my brother blasting me, and attacking my faith in Christ. Calling me an unloving and hateful person; why is it that if someone doesn’t like what you are doing they attack your faith in Christ? I would later learn that my mother had talked to him over the phone and I presume now, because of her guilt, that she was complaining about us as we labored. I asked him to please not text me anymore but he did anyway so I deleted the text without reading. Here Darlene and I were all alone, just she and I to pack up and move all their belongings. With my mother complaining that we were doing it wrong, my brother calling me a hateful man and attacking my faith in Christ; all the while spending our own money on the move, renting equipment, and paying for the dump, spending countless hours laboring. This has put an emotional strain on us that is difficult to bear, then on top of it all, I went back to work with some of the most stress filled days that I have had at work in years. So why did I right this? 1. Because Darlene, I and, my family need much prayer; this will be difficult for some time to come. 2. Because I just needed to share it in some way, it is just eating me up. 3. Because while we think our ministries are difficult, and the people on the streets are hard to love; it is nothing compared to the difficulties of loving those whom you can’t leave.